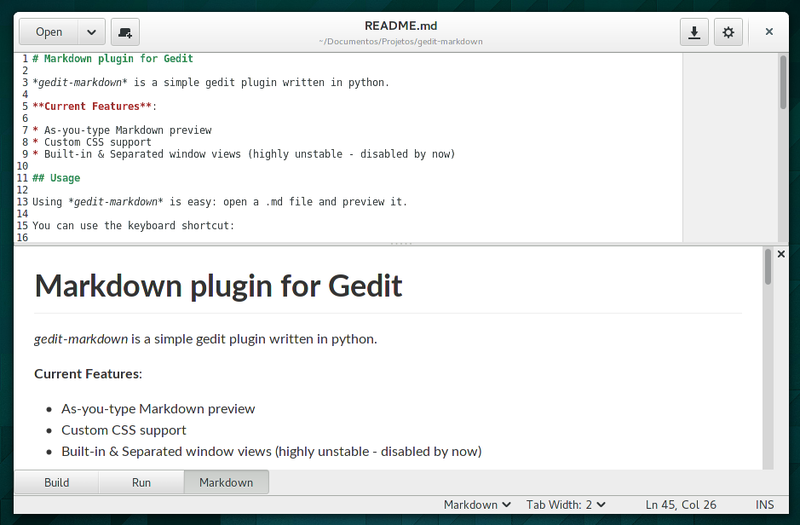 *gedit-markdown* is a simple gedit plugin written in python. Using gedit-markdown is easy: open a .md file and preview it. After that, it’ll be installed in .local/share/gedit/plugins. Comments, ideas and (most of all) bug reports (and especially patches) are very welcome.